If it were simply a matter of price, I may as well point out right now that Qualia Mind is the cheaper option to buy… But it’s still wildly expensive. So, instead I’ll focus mainly on answering the question: Which is the better supplement for nootropic brainpower? And if either are really that good, then, hey, maybe taking out that loan to buy these supplements wasn’t such a bad idea after all! No way to know until we read the Qualia Original Stack vs. Qualia Mind comparative review. Qualia Original Stack or Qualia Mind: Which is better? 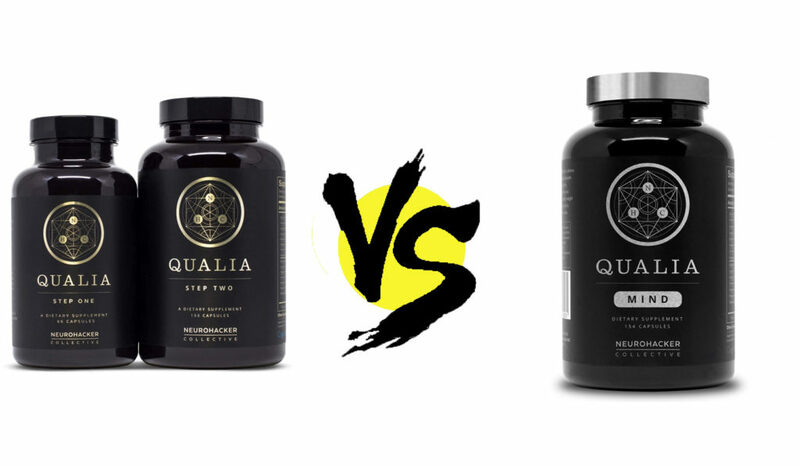 The obvious design differences between these two supplements: Qualia Original Stack comes in two separate formulas, Qualia Mind condenses its formula into a single bottle. However, as you can see below, both products come with a high number of ingredients. Qualia Original Stack Directions: Take three (3) Step One capsules first thing in the morning on an empty stomach. Wait at least 20 minutes, then take six (6) Step Two capsules with food. Step Two must be taken with food to avoid stomach sensitivity. Qualia Mind Directions: As a dietary supplement, take 7 capsules with water first thing in the morning before eating. If stomach upset occurs, take with breakfast instead. Optimal dosage can vary based on body weight and sensitivity. Don’t take more than 10 capsules at once more than 12 in a day. When Qualia Original Stack hit the scene, I imagine jaws dropped for a number of reasons. (Actually, I doubt anyone actually did that, but it paints a good, dramatic image.) Reason #1: the way high number of nootropics in these stacks. Reason #2: the exceptional quality of Qualia’s ingredients. And reason #3: Qualia Original Stack actually makes this jam-packed formula design work. Nootropic brain health supplements that try to cram too many ingredients into their tiny capsules tend not to work for the obvious reason that there’s simply not enough space for each nootropic to reach peak effect. Not only that but many of those types of supplements tend to obscure their individual ingredient dosages by resorting to the proprietary blend tactic, hoping their customers will buy their product by the ingredient names alone. Not Qualia Original Stack. These guys not only display all of their ingredients’ dosages but they dose their ingredients well. And by taking such a comprehensive approach to cognitive enhancement, there’s not much more you’ll need outside of these two formulas. Having said that, Neurohacker Collective may have gone too far with this supplement, due to the inclusion of DHEA and (maybe) Noopept. Noopept is a decent synthetic cognitive enhancer. But including it removes Qualia’s all natural status. DHEA is not a decent cognitive enhancer. In fact, it’s not that effective at doing much for cognition, despite owning a spot on the WADA Banned Substances list. Thus, Qualia Original Stack needlessly prevents competitive athletes from taking all of its awesome nootropics due to the single poor choice of DHEA. Major bummer. Read my in-depth review on Qualia Original Stack. Don’t get it twisted: Qualia Mind is still a jam-packed supplement, and negative ingredient interactions might still be a concern… just less a concern. For the most part, Qualia Mind keeps all of the key ingredients that work in Qualia Original Stack. 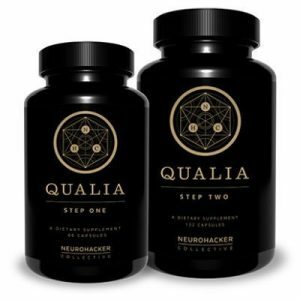 If you read my Qualia Original Stack vs. Qualia Focus or Qualia Mind vs. Qualia Focus comparison reviews, you’ll see that this isn’t the case for Neurohacker Collective’s most recent and cheapest Qualia stack. Key nootropic ingredients, such as citicoline and phosphatidylserine. Altogether, the Qualia Mind stack is impressively large and impressively premium quality. 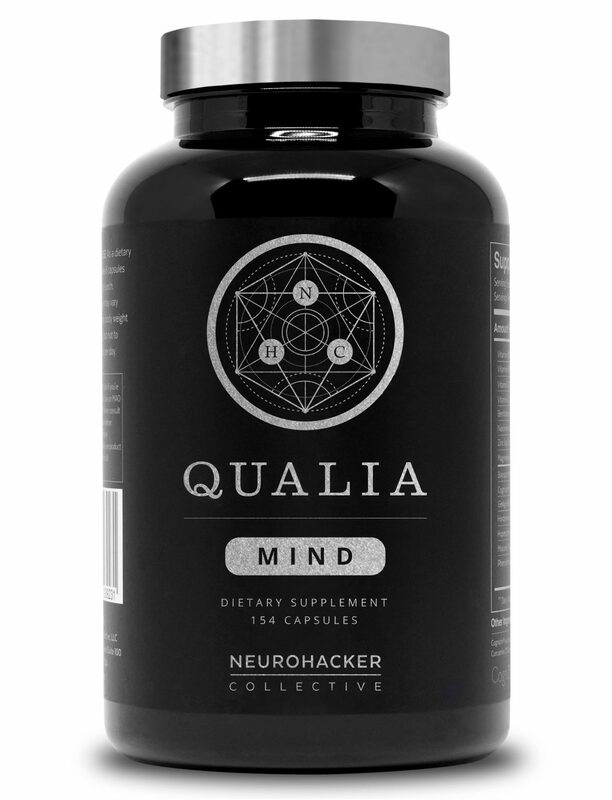 While Qualia Original Stack technically has more awesome nootropics than Qualia Mind, I favor Qualia Mind’s simplified formula, as I’m seeing less competition for absorption among this single stack’s many ingredients. For the most part, Qualia Original Stack supplies the same ingredients as Qualia Mind, except more. In total, Qualia Original Stack supplies 40+ ingredients, whereas Qualia Mind reduces that number to 28 — including the vitamins. So, rather than list the 12+ ingredients that Qualia Original Stack has over Qualia Mind, I’ll simply list a few of the key ingredients found in Qualia Original Stack. Let’s get to it. Noopept – A racetam-like synthetic nootropic with benefits similar to piracetam. Seems to work faster than piracetam with a more “psychostimulatory” effect, although tolerance build-up is a concern. More on Noopept. DHEA – A steroid prohormone believed to increase testosterone levels and athletic performance, yet DHEA has too low of an oral bioavailability to do much of anything. Centrophenoxine – Essentially a more effective form of DMAE. May improve cholinergic cognition and memory. Curcumin C3 Complex® – High quality, potent extract of a powerful antioxidant for neuroprotection and cognitive longevity. More on Curcumin. Phenylethylamine HCL – PEA is an interesting choice here, as its efficacy is somewhat questionable. May improve cognition and mood, although not greatly. And More – Like I said, Qualia Original Stack has 12+ ingredients over Qualia Mind. Celastrus Paniculatus – I could be missing something, but this seems to be the only unique ingredient Qualia Mind has over Qualia Original Stack. Not a bad idea: Celastrus is a decent cognitive enhancing herb. More on Celastrus Paniculatus. 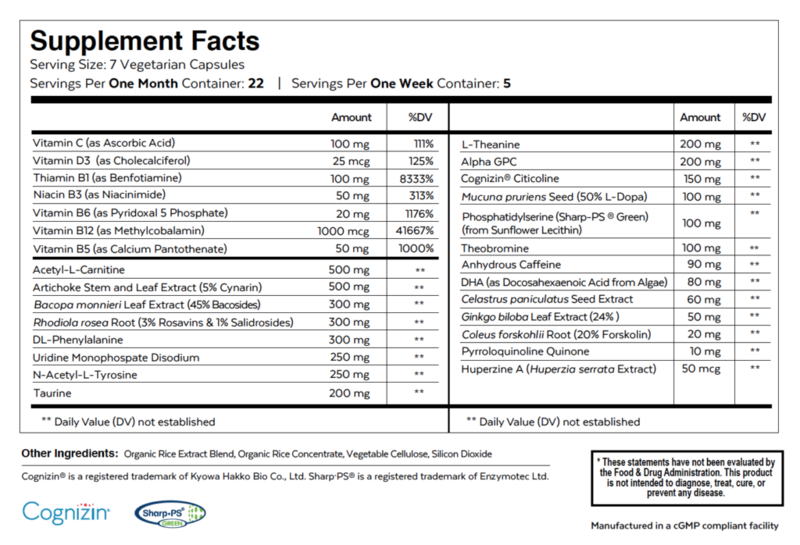 Qualia Mind has fewer ingredients than Qualia Original Stack, which brings its own unique feature: less risk of negative ingredient interactions. Basically, fewer ingredients leads to less competition for absorption. Potentially, Qualia Mind’s ingredients could be more effective than Qualia Original Stack’s for this exact reason. You can have the best nootropics backed by the best clinical science, but that all doesn’t amount to much if your ingredients all come in weak, impotent forms. Qualia Original Stack and Qualia Mind don’t have any problems with potency or quality. In fact, the opposite: Neurohacker Collective does a consistently awesome job at supplying high quality nootropics that are sufficiently dosed. However, something that Qualia Original Stack has over Qualia Mind: BioPerine. BioPerine black pepper extract is an awesome addition to any supplement formula, due to the extract’s boost on nutrient absorption. In fact, certain ingredients, such as curcumin, are borderline useless without black pepper extract’s potency enhancement. Granted, Qualia Mind doesn’t supply curcumin, so the need for that isn’t there. Yet, it’s almost never a bad idea to toss in a little BioPerine, given that it requires such a small dosage to have a positive effect. Even so, both products supply awesome quality nootropics, compounds, and extracts. Paying a buttload per serving. Paying an assload per serving. And if you’re curious what’s the difference between a buttload and an assload, it’s 45 cents — basically, the difference between $6.77 and $6.32. In other words, both Qualia Original Stack and Qualia Mind are uber-doober expensive. Perhaps the most expensive mainstream nootropic supplements on the market in 2018. However, if you’re looking for a bit of a bargain, Qualia Mind is $10 cheaper per bottle. And if you want to save dollars on either supplement, Neurohacker Collective does provide a Subscribe & Save order option when you buy either supplement. Still pretty damn expensive, but the smart way to go if you plan on taking Qualia for the long-run. Also, it looks like you can buy both supplements on Amazon. So, that’s pretty neat. Qualia Original Stack has more nootropics. If you’re shooting for all-in, comprehensive, nootropic brain coverage, Qualia Original Stack may just be the nootropic stack you’re looking for. With a wide range of cognitive boosters, brain replenishers, and neuroprotectors, Qualia Original Stack accomplishes a lot with… well, a lot. Some may be skeptical of this formula design, as some of the best nootropics seem to accomplish major brain boosts with way fewer ingredients. Yet, it’s an impressive, high quality supplement nonetheless. Qualia Mind has a simpler, potentially more effective, formula. Initially, I expected Qualia Mind to be the more affordable version of Qualia Original Stack. And while technically it is the more affordable option, it isn’t that much more affordable. 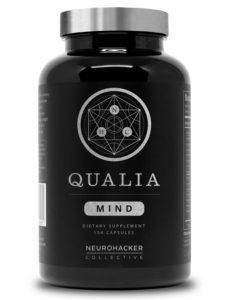 Qualia Mind is still incredibly expensive, and strangely so considering how many ingredients Neurohacker Collective removed from the OG stack to create this follow-up formula. Having said that, I like Qualia Mind’s simpler formula design as it seems to accomplish those major brain boosts with fewer ingredients, as I just mentioned above. I believe that to be a smarter approach to cognitive enhancement — if you can accomplish a task with less, use less. Both Qualia Original Stack and Qualia Mind supply powerful cognitive enhancers and brain health optimizers — all presented in high quality formats at high, adequate dosages. Really, you could potentially use either nootropic stack and not need anything extra for your brain health needs; unless you’re looking for more smart drug type of nootropics. Without resorting to risky stimulants or cheap synthetics, Qualia Original Stack and Qualia Mind significantly boost brainpower without compromising long-term brain health. On that note, Qualia Mind seems to be both the cleaner formula (no DHEA, no Noopept) and potentially the more effective nootropic stack. Plus, it’s a little bit cheaper than Qualia Original Stack, which is something, I suppose.